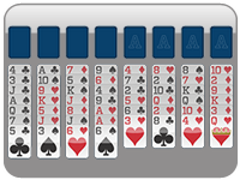 An All New Freecell Variation: One Freecell! 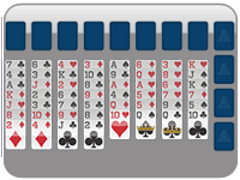 Looking for a freecell challenge? 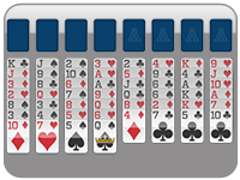 Look no further than One Freecell! This all new game only from 123 Freecell is sure to have you coming back for more fun and solitaire difficulty time and again. 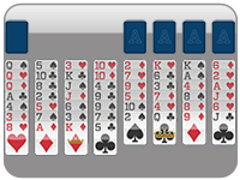 The One Freecell game is exactly as the name implies - with one free cell only! 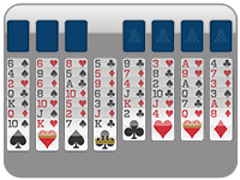 Thus you only have one open spot to use, instead of four in the original freecell version. 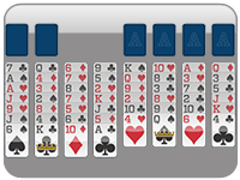 Although Freecell is winnable over 99 percent of the time, this variation has a win rate of only 19 percent! 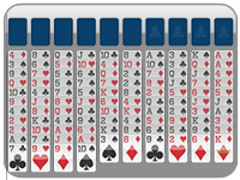 So, enjoy this fun new variation of a favorite game, Freecell!